Next week, the City will start putting its decommissioned street signs on the auction block. 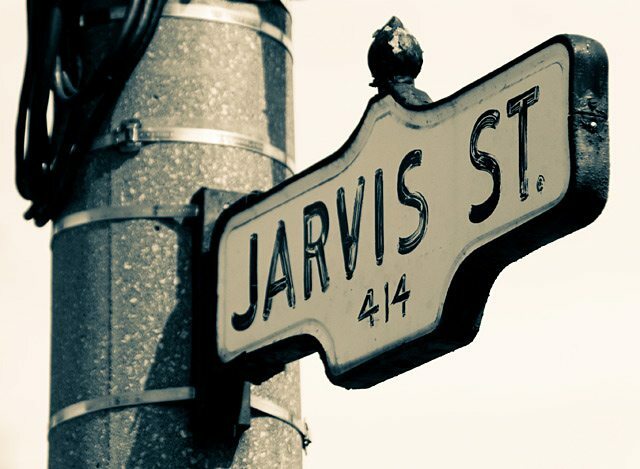 Starting April 28, you’ll be able to get your hands on some much-coveted Toronto mementoes: decommissioned street signs. The City is partnering with Platinum Liquidations on this venture—the signs will be auctioned off through the company’s website. Signs will be displayed there for 60 days and bids will start at $30. “Over the past few years, the public has shown great interest in owning a piece of the City’s history and we are very pleased to be providing this opportunity,” said Councillor Denzil Minnan-Wong (Ward 34 Don Valley East) in a news release. We’re not sure how much of this “great interest” was communicated through acts of late-night sign thievery, but it’s just possible this sale will cut down on the number of still-in-commission street signs that mysteriously go missing.